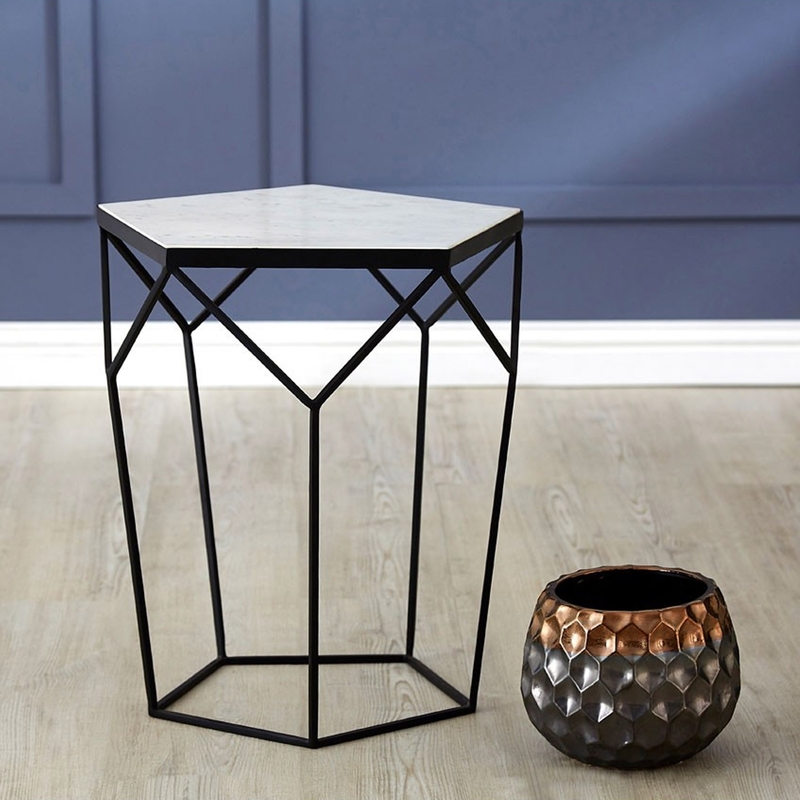 We are very proud to introduce this gorgeous Shalimar Pentagonal Side Table. It has an astonishing design which inspired by an art-deco style, given a touch of modern and an inviting style. The natural colours of the marble and iron materials really make this piece look absolutely stunning.